Urakami District after atomic attack. St. Mary's Cathedral is the only major structure, totally destroyed. Note people on main road. Often known as Urakami Cathedral after its location, it is a Roman Catholic church located in the district of Urakami, Nagasaki, Japan. Construction started in 1895 and was completed in 1914. At the time it was the largest Cathedral in Asia. The atomic bomb that fell on Nagasaki on August 9, 1945 detonated in Urakami, only 1640 feet (500 meters) from the cathedral, which was completely destroyed. Urakami was not the intended Nagasaki ground zero for the explosion of the 'Fat Man' atom bomb, however winds on the day moved the bomb towards the hills of Urakami, which was close to the Mitsubishi Shipyards. Dr. Nagai Takashi, a medical doctor whose efforts secured funds for children orphaned as a result of the atomic bomb, was known as 'The Saint of Urakami'.What remained of the cathedral is now on display in the Nagasaki Atomic Bomb Museum. Statues and artifacts damaged in the bombing, including a French Angelus bell, are now displayed on the grounds. The nearby Peace Park contains remnants of the original cathedral's walls. A replacement was built in 1959, and remodeled to more closely resemble the original in 1980. 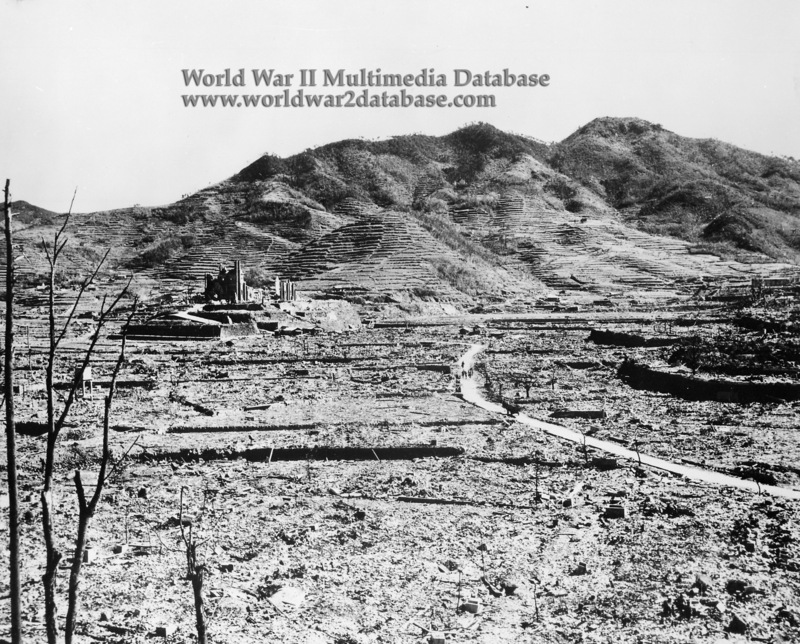 The hills around Nagasaki kept the blast from expanding, minimizing casualties (74,000) compared to Hiroshima (140,000).